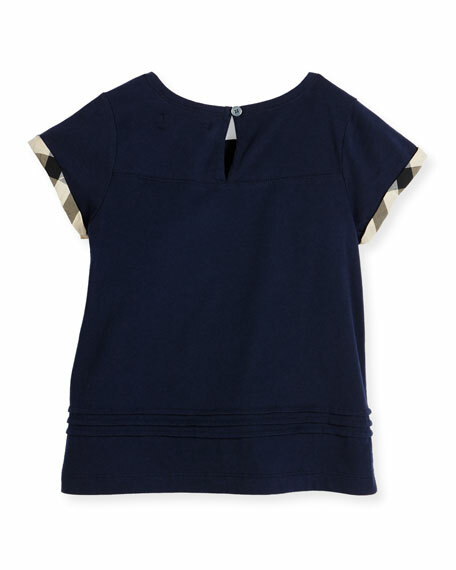 Jersey-knit "Gisselle" tee in cotton by Burberry. 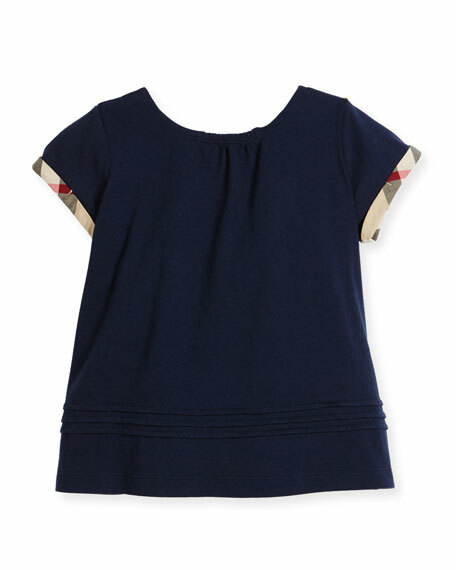 Round, shirred neckline; keyhole back. Cap sleeves with signature check cuffs. For in-store inquiries, use sku #1925856.